There is one big disadvantage. 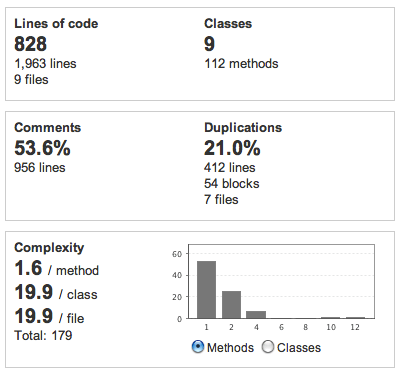 The php Plugin is only compatibility with Sonar Version 2.1. The current Version is 2.4. You’re right. At the moment we’re working on 0.3 version which is gonna be compatible with Sonar 2.3. Also we’re working on a process and official roadmap that will help us develop the plugin in a way we can make it compatible with all the future Sonar releases. So stay tuned! 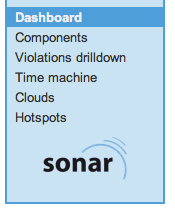 It’s a bit outdated, new version of sonars php plugin has come out resolving some of the issues you mentioned. What I think a good addition to this, is how to work with PHP projects *Without* unit tests defined (most of them). I work a lot with Drupal, and they use a different test approach. So do you know a simple way to bypass unittests when there are none and still be able to use sonar? found it. I was looking in the wrong place. 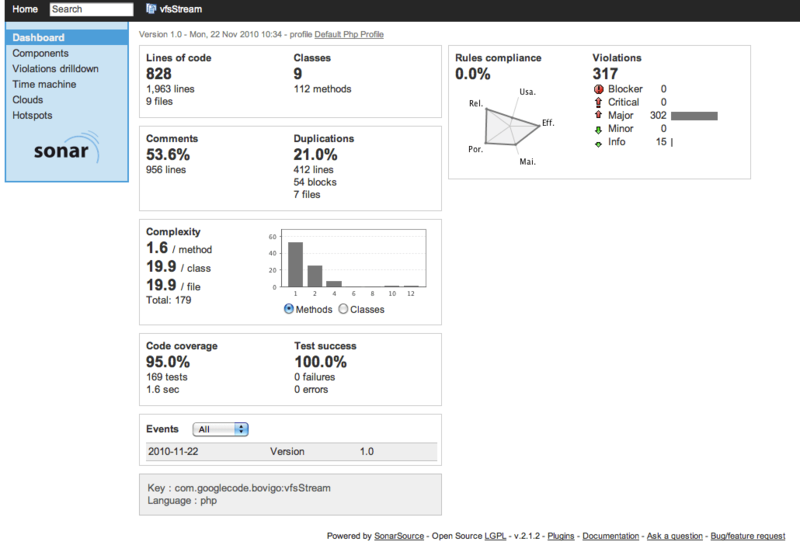 In Sonar configuration (probably http://localhost:9000/settings/index) There’s an option not to run unit tests. I am trying to do sonar analysis through maven of a PHP project. I have kept this jar file in sonar-3.3\extensions\plugins directory. When I am running mvn sonar:sonar command, I am getting below error. I am using PHPMD version 1.4.1.